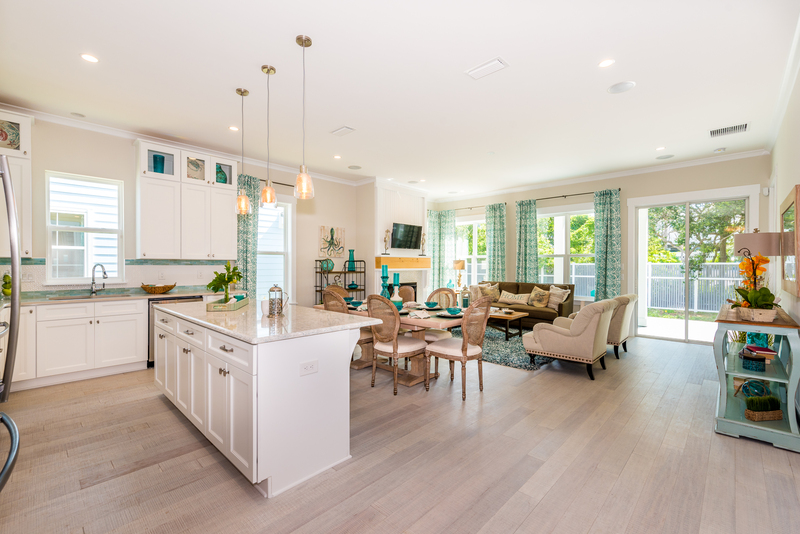 Sea View is the latest project by Generation Homes, a coastal home builder distinguished for its creative designs, quality finishes and attention to detail and customers. ST. AUGUSTINE BEACH, Fla. – If Sandy Frey gets a home buyer who’s seeking a small quaint beach community, she’ll bring them to Sea View. 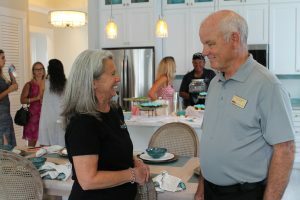 Sea View, a new beach cottage community located on scenic A1A in St. Augustine Beach, recently celebrated its grand opening. 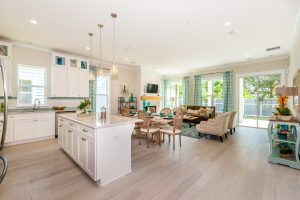 The enclave of 28 home sites is the latest project by Generation Homes, a coastal home builder distinguished for its creative designs, quality finishes and attention to detail and customers. 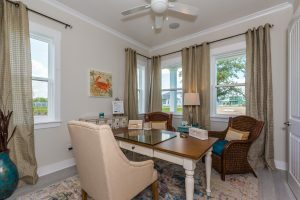 Realtors who got the first peak at models in Sea View said they liked the light airy feeling created by the tall ceilings, large windows and door sidelights. 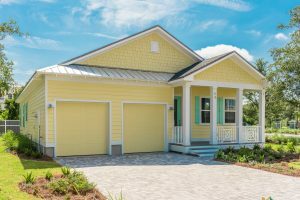 The coastal style is very popular with home buyers right now, said Christy Ridgely of Berkshire Hathaway HomeServices Florida Network Realty. And, Generation Homes is a builder she likes. Generation Homes builds using effective and proven construction techniques has earned a well-deserved reputation for finish, style and sustainability. There are cased windows and doors, crown molding and bead board, some of the most in-demand finishes in beach homes today. 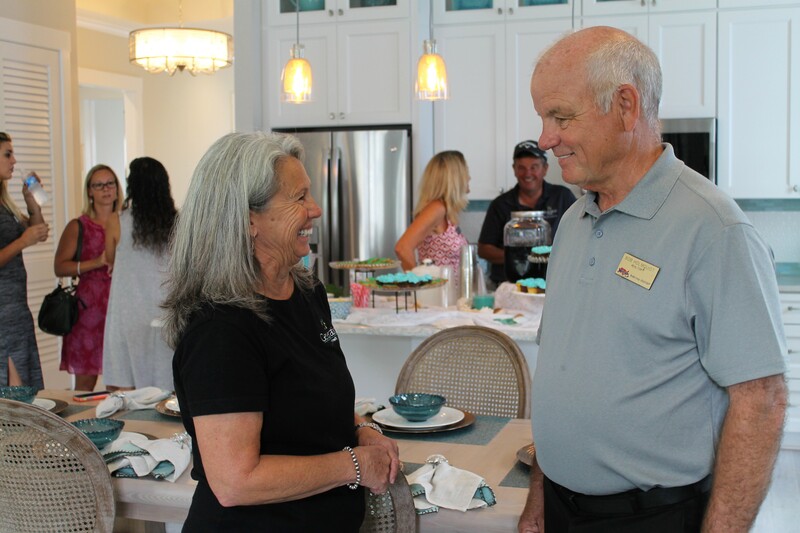 Cora Johnston and Realtor Bob Holmquist at Sea View Grand Opening. Just blocks from the beach, the 1,700 to 2,300 square-foot three- and four-bedroom homes start at $389,990. Generation Homes recently built larger homes at Sea Colony and Beach Haven in Palm Coast. 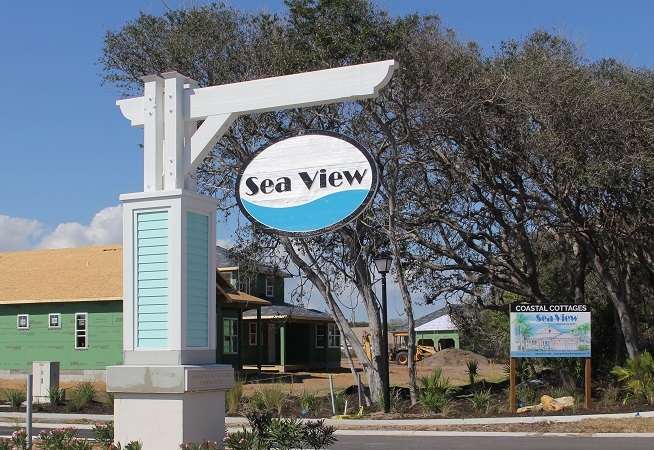 The company wanted to bring the same upscale features used in those homes to the smaller neighborhood of Sea View, said company president Cora Johnston. “Our goal was to attract Baby Boomers, who may be downsizing, but who don’t want to give up the kind of home they’re used to,” she said. Another goal was to create a low maintenance home. So, houses feature Hardie Color Plus siding, which is Hardie board with baked-in color applied at the factory. Porches are built with Trex composite decking and vinyl railings – no painting is needed. And, there’s just enough low-water landscaping to give the homes a finished look. Generation Homes builds to withstand the test of time and maximize comfort. Sea View is the inaugural project of developer Matt McGarvey, who joins his father, veteran developer Jay McGarvey, at McGarvey Residential Communities. Sea View is located on the narrow, southern portion of St. Augustine Beach, an area known as “the island.” There’s not a lot of land there left to be developed, Frey said. 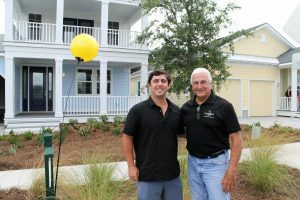 Generation Homes, a custom focused builder specializing in oceanfront and coastal homes and remodeling, has created a unique dialogue with new homeowners on the local level. Sea View includes a community pool and pocket park. There are no CDD fees. Sea View includes homes are thoughtfully designed by acclaimed local architects Rob Florez and Michael Stauffer. 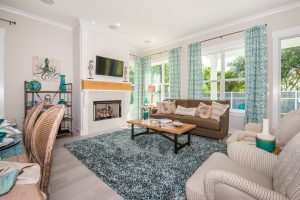 Generation Homes builds custom homes in premier communities along the First Coast from Ponte Vedra Beach to Hammock Beach, including Vilano Beach, Flagler Beach, Beach Haven, Anastasia Dunes, Magnolia Dunes, Marsh Creek, Sea Colony, Sea Grove, and Whispering Oaks and on coastal private lots. To learn more, contact Elaine Raynor (904) 584-0038 or Jenni Johnston (904) 806-3398.